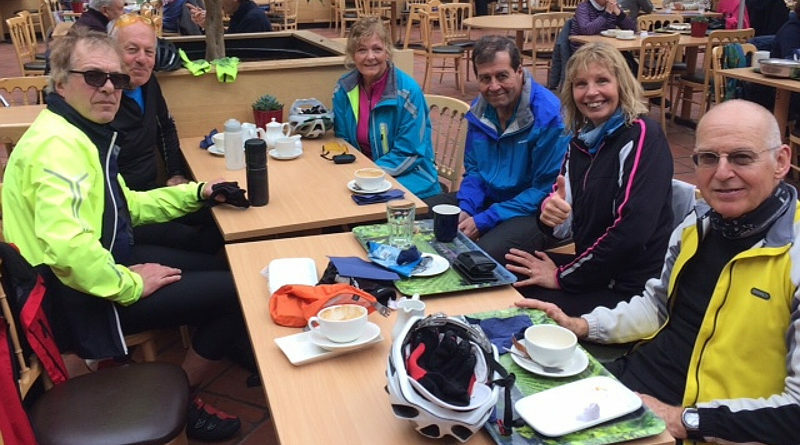 Thank you to the six hardy souls who joined me on the Tuesday 10am ride despite the gloomy weather forecast. 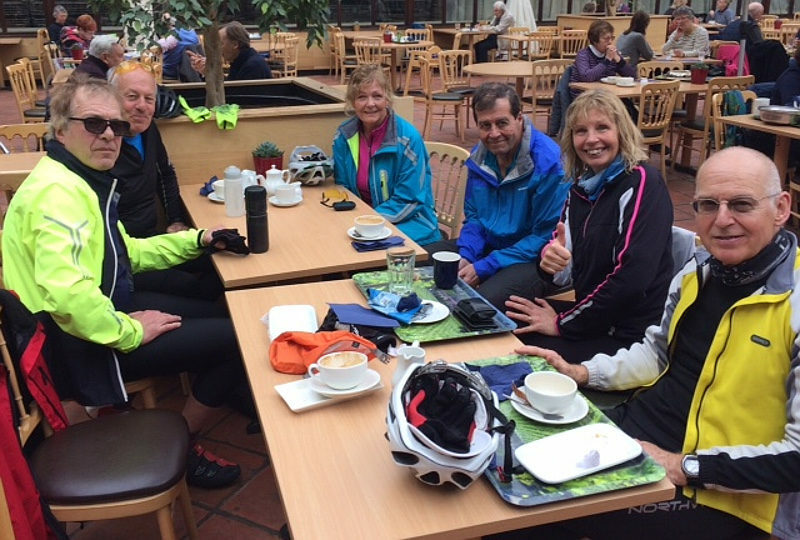 Tim, Bob, John, Rob and I were waved off from Purley by Denise (really good to see her recovering from her fractured pelvis) and in Coulsdon were met by Ian and my only other female companion, Jo (who was on her lovely new ‘gravel’ bike). We were heading towards Denbies and luckily we stayed dry until Walton on the Hill when the skies opened. There was a slight pause outside the tea shop in the village but everyone voted to continue and so we did. The rain eased off but it was very chilly going down Little Switzerland – however the climb over Ranmore Common soon warmed us! After a lovely stop in the Denbies cafe we cycled back via Box Hill. The top was unusually quiet without the usual mob of cyclists and we remained dry all the way home. Everyone agreed it had been worth risking a soaking.